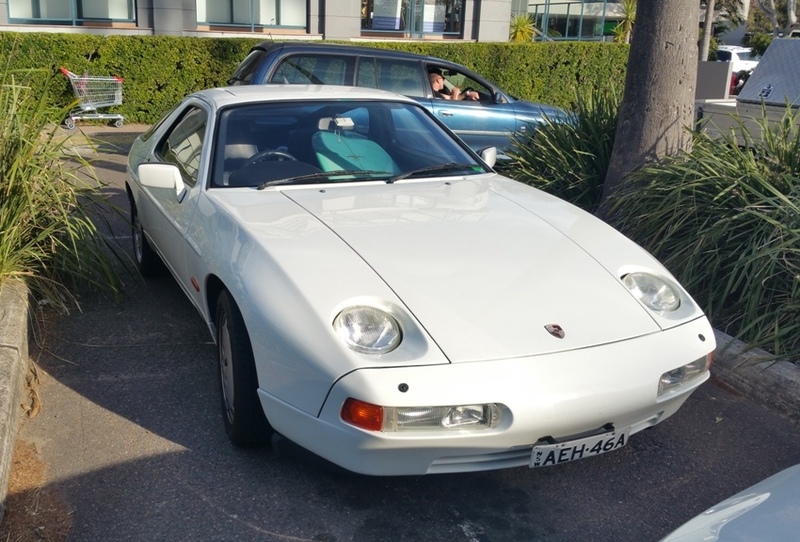 Driving 2000 KMs from the North of Australia via the East coast to Sydney I spotted this one in the grocery parking lot. Safe travels Herman and Barb! You will be missed at 3rd Coast. whereabouts in NZ are you heading. (Should be able to cover the whole country in 4 weeks). There is a (Yahoo Australia hosted) NZ 928 forum if you wanted to catch up with owners here. Sounds like a great trip, have fun and we will miss you both at 3rd Coast. Interesting the 928 has both the roof antenna and the fender mount. . .
IIRC fender mount antenna was added by the dealer in Australia because of poor reception for the roof and windshield antenna. I'm flying into Christ Church on October the 29th and after cruising (camper) the South Island take will take the ferry and cross over to Wellington. We can arrange for a visit what is the best way to contact you? Looks like the 928 world is a small but a loyal one! If you are in Dunedin, Otago, and feel like a brew/chat or local knowledge, send me a PM. Well, I'm not with Herman and was planning to attend 3rd Coast. No 928, but that won't stop me. Originally Posted by Jim M.
A week ago I got a call for assistance (medical related) from my brother who was already traveling on a pre arranged trip through Australia and New Zealand. I have told Barbara to take the S55 and join the group in Marble Falls if she likes. We have an SL55 delivered in Rockport TX today that we will take to a Dallas GTG and Houston Christmas GTG when I'm back. Hopefully a few listers from NSW, where you are now, might chime in and have to time to meet up, if they're nearby. If you happened to be in the area, you would find it fascinating to have a chat with Bruce Buchanan (JET951), and it's likely he'd have a few interesting projects in his workshop. Hope all is well with your brother, and that you have a good trip. As a part of the trip we would have been in Tasmania from the 17-29 however because of my brother medical issues we are staying in the Narrabeen/Sydney area until the 29th before flying to Christchurch NZ. his flight back from Auckland to the Netherlands is on December 6th and mine back to Texas is planned for the same day unless is condition requires a change in plans. For me being in Australia and NZ is a nice opportunity to meet with some 928 folks however traveling with a camper doesn't make it that easy. Thanks for chiming in would have liked to see our cars.